For the first time this season, the Bristol Eastern wrestling team has fallen out of the No. 2 spot in the Connecticut Wrestling Online state top 10 wrestling poll. Then-No. 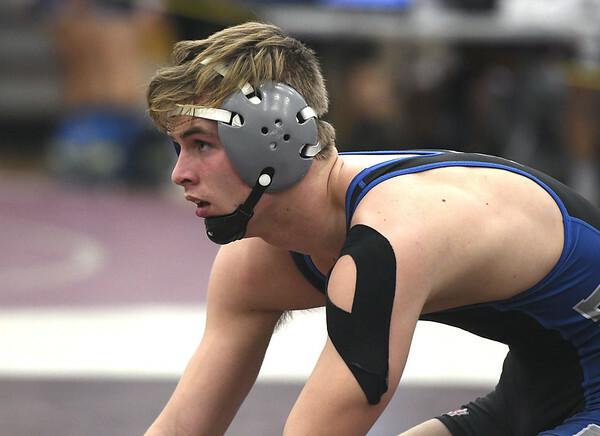 6 Simsbury defeated the Lancers in the championship round of Saturday’s New Fairfield Duals, snapping a streak of 51 straight dual meet victories for Bristol Eastern, which had been ranked No. 2 in the Connecticut Wrestling Online poll every week since the start of the season. The Trojans also defeated then-No. 3 Southington last Wednesday to jump into the No. 2 spot in this week’s state poll. Bristol Eastern dropped to the No. 3 spot, while Southington fell to No. 6. Danbury has held the No. 1 spot in the poll all season, collecting every first place vote until last week, when the Lancers received one. Danbury finished the season No. 1 in the poll last year, and has finished as the top team in the state in balloting for 19 of the last 22 seasons. Bristol Eastern will host Bristol Central tonight at 6 p.m.
Posted in The Bristol Press, Bristol Eastern, Southington on Tuesday, 5 February 2019 20:51. Updated: Tuesday, 5 February 2019 20:53.